ZOE temporary cement inhibits microbial growth and minimizes microleakage. 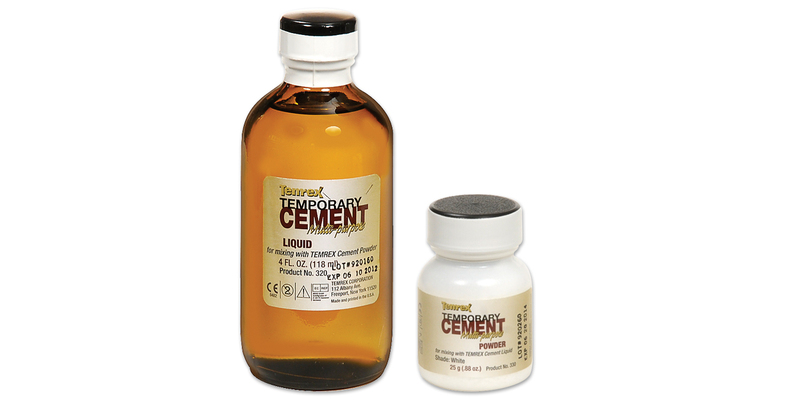 Indicated uses include temporary retaining of crowns and bridges, sedation of deep sensitive cavities and crown preparations, and as a base under amalgams, silicate, and gold inlays. Sets hard rapidly. Liquid package includes glass dropper. Powder package includes measuring scoop.